Japanese animation giant Studio Ghibli is renowned for light-hearted classics like My Neighbour Totoro but 30 years ago it released Grave of the Fireflies, a war anime with a powerful message that still reverberates. Based on Akiyuki Nosaka’s 1967 novel and directed by the legendary Japanese animator Isao Takahata who died earlier this month, it tells the story of two orphans and their desperate struggle to survive the final months of World War Two. The show’s ending is foreshadowed from the start. All alone, a young boy Seita succumbs to starvation and dies at the Sannomiya Railway Station. Among his possessions discovered by a janitor: a sweet tin containing ashes and some bone fragments. The seemingly innocuous container is discarded in a nearby field, releasing his spirit which rises up and reunites with the ghost of his four-year-old sister Setsuko. Fireflies surround the siblings and their story begins. “September 21, 1945. That was the day I died,” Seita says in a haunting narration. Grave of the Fireflies may bear the Ghibli name but it is by no means a conventional children’s movie. It is harrowing and distinct from its feel-good predecessors, which may have deterred many viewers. But the late film critic and historian Roger Ebert proclaimed it to be “one of the greatest war films ever made”. The anime takes place during the US bombing of Japan, waged in the closing phase of World War Two and which included the firebombing of Kobe city. Why is Japan’s WW2 surrender still a sensitive subject? With any war, tragedy is inevitable and the strength in the storytelling lies in Takahata’s first-hand experiences, having himself survived a devastating air raid on his coastal hometown of Okayama. Rich with detail and impressionistic effects, the Studio Ghibli co-founder’s masterpiece brings to life the human impact of war. Roland Kelts, author of Japanamerica, remembers a particularly tragic but “mesmerisingly beautiful” scene. “We see a group of fisherman gazing out over the bay as the city of Kobe goes up in flames on the horizon. The flames lick at the sky and the fishermen are seen from the back,” he told BBC News. Today, the film remains not only relevant but more important than ever, according to Lim Beng Choo, an associate professor in Japanese studies. “Grave of the Fireflies is an important film because it emphasises (among other things) the value of life. While it depicts the irreversible tragedies and sufferings that Japanese people had to endure during the war, viewers should also actively be asking why and how World War Two was allowed to happen,” Ms Lim said. Japanamerica’s Roland Kelts added: “Grave of the Fireflies is a story richly told, with all the ambiguity and second-guesses of the way life is lived. Its story remains relevant today because of that fact alone. It tells about the failure of heroism and nobility in desperate circumstances and in that way, it’s almost an anti-Hollywood film”. Grave of the Fireflies may have earned a reputation as being one of the darkest Ghibli films ever made. But that has not stopped loyal fans from reviving debate around the “underrated” film and its poignant lessons, with the discussion still vibrant 30 years on from its release. For many, its message about the human impact of war still resonates strongly. “If anyone thinks anime is only made up of over-the-top facial expressions, a lot of sexual content and corny teen romance, watch Grave of the Fireflies and prepare to be proven 100% wrong,” wrote a fan on YouTube. 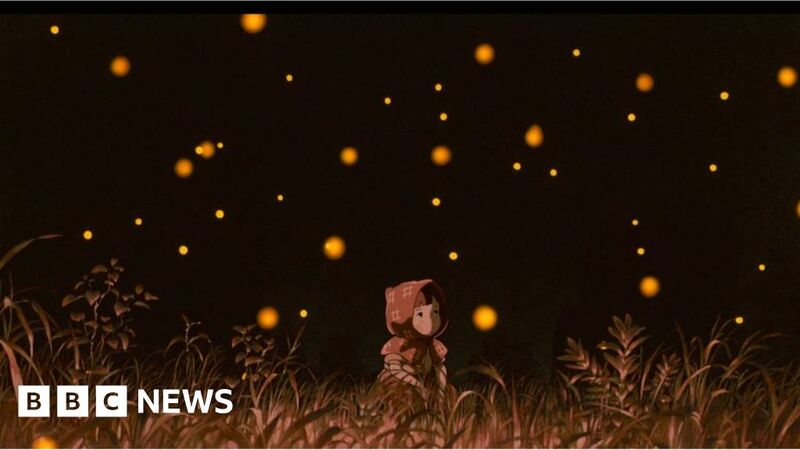 On Reddit, one anime fan focused on the symbolism of fireflies: “The firefly becomes a haunting symbol of the film as it represents both the deadly fire bombs that wrecked the children’s city but as well as an icon of hope and perseverance”. “In the wake of the Trump administration and nationalism capturing the minds of millions around the world, this movie has never been more necessary,” said Ghibli fan Rebecca Lee on Facebook.